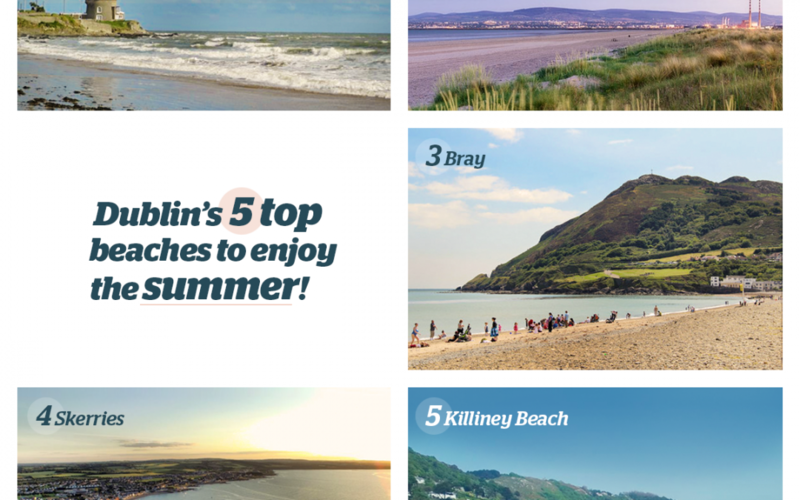 Summer is coming and today we’d like to point out some beautiful beaches near Dublin where you can go to enjoy a bright sunny day! Bray is often referred to has the “stony beach,” but most of the locals will admit it’s not a beach at all. However, that’s not to say that Bray’s Victorian promenade doesn’t have many purposes. It’s the ideal place for an evening stroll and the walkway is lined with traditional pubs and small dainty shops. In the summer the seafront becomes a concert venue with local acts performing during Bray’s Summerfest.